Coronary Computed Tomographic Angiography—The First Test for Evaluating Patients With Chest Pain? 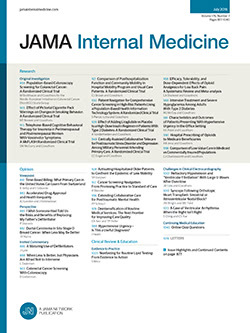 In November 2016, the National Institute for Health and Care Excellence (NICE), the evidence-based organization that provides authoritative national guidance to improve health care quality in the United Kingdom (UK), updated its clinical guideline on the evaluation of patients with chest pain of recent onset.1 On the basis of a thorough literature review, NICE updated the guideline to recommend coronary computed tomographic angiography (CCTA) as the initial test for all patients without known coronary artery disease (CAD) who present with atypical and typical angina, and for those with nonanginal chest pain who have an abnormal resting electrocardiogram. This dramatic change to national health care policy in the UK resonated across the Atlantic, where office-based single-photon emission computed tomography (SPECT) has served for decades as the dominant noninvasive test for CAD in the United States.